Originally hailing from Georgia, David Riley has worked providing mechanical services to the power industry for 35 years, and is Owner/President of Riley Power Group in addition to founding and operating Riley’s Ranch. In that time he has never forgotten his brief exposure to farm life experienced in North Carolina many moons ago! 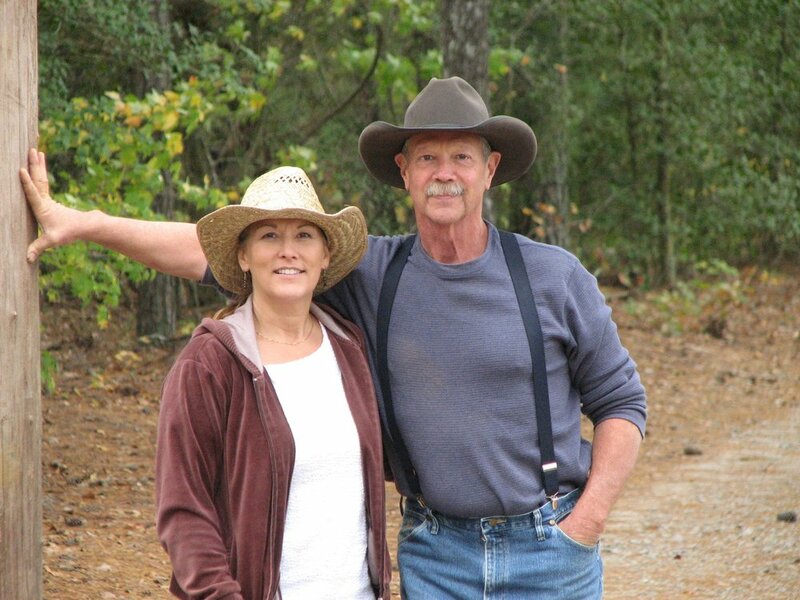 When the kids had flown the nest, he approached his bride with the idea they pack up from South Carolina and head north…all the way up to Moore County, North Carolina to start a new farm with an emphasis on naturally raised heritage animals. After a few days of being interrogated by his wife for a possible sanity lapse, she enthusiastically fooled him into thinking she agreed it was a fine idea. Luckily, and with God’s grace, she has been bitten by the rare and elusive farm bug, quite possibly eclipsing even his zeal in this wonderful, exasperating, rewarding and challenging lifestyle. Melanie Riley helps David operate Riley Power Group as General Manager when she is not helping David manage the farm. She is a former Physical Therapist and has a Master Gardening certification, with a special love for perennials, butterfly gardens and birds. She hails from Texas, Rhode Island, Virginia, Florida, Michigan and SC, moving so many times due to her Dad’s Navy career. The ability to pack up and move to new places helped her to jump in with both feet to this new sustainable farming adventure. It’s true, she really does enjoy this new lifestyle of trading in her high heels for cowgirl (and muck!) boots, and feels it is a wonderful blessing from God in many ways.